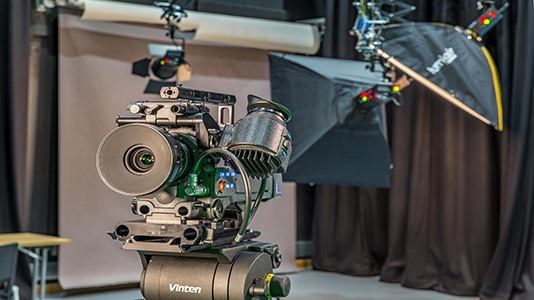 A range of multidisciplinary facilities designed to equip you with the necessary practical skills and experience for your future creative career. 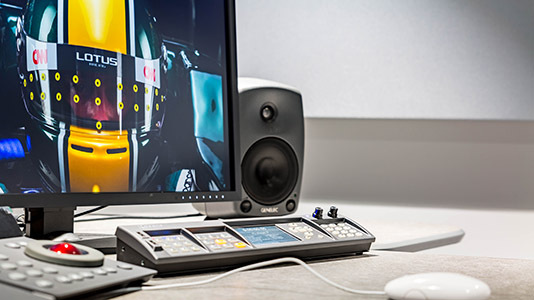 The seven Editing Suites are ideal for editing video, sound and recording quick voice-overs. 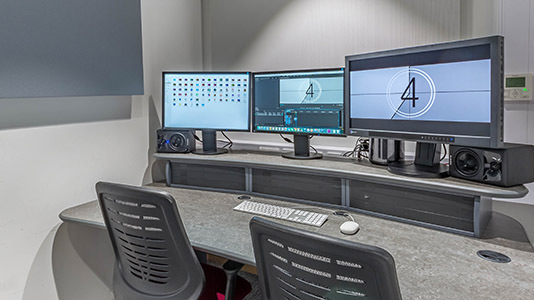 All suites are networked with ultra-fast 10Gb/s network, making it possible to edit and grade, whilst sharing production files at speed. 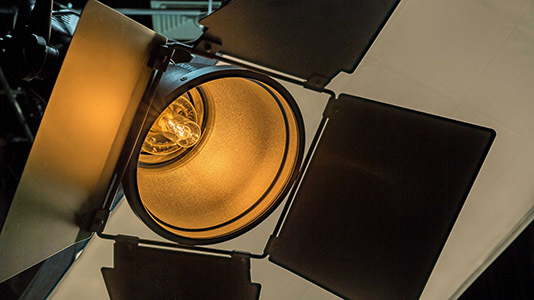 The Sound Studio features a control and live room, ideal for post-production work, mixing and recording small bands. Both rooms are acoustically treated and isolated. 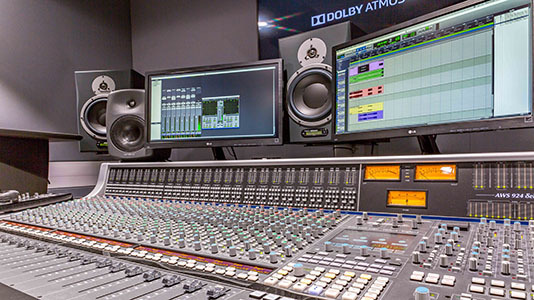 Mixing console is an SSL AWS 924 Delat, with Dynaudio AIR and Genelec monitoring. 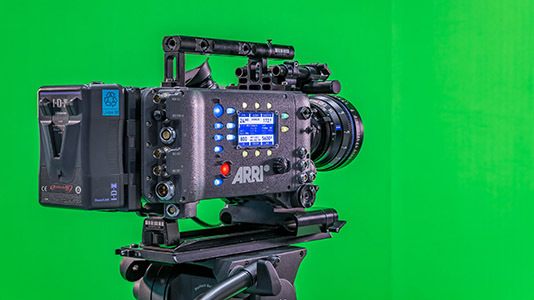 Projects can be mixed from Stereo through to 5.1 / 7.1 / 9.1 and Atmos. 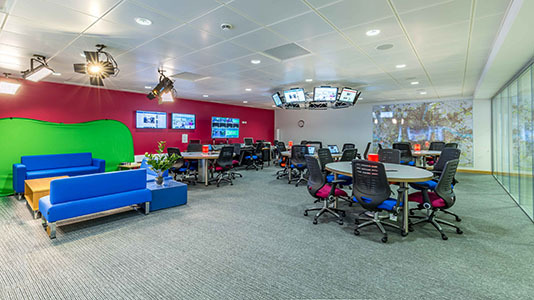 The home of Journalism.London, our dedicated newsroom is fitted with 42" displays, an audio mixer, 8 line inputs and 80 channel mix, News Synergy Workstation and 15" Macbook laptops - all for student use. 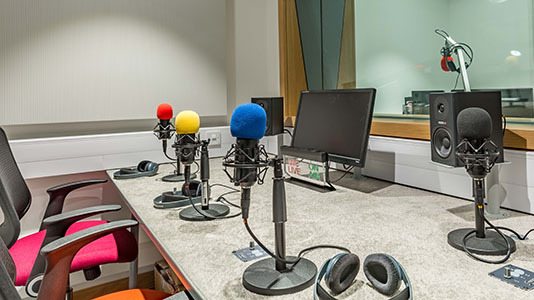 Our Radio Studio is built for four people, each with their own Cardiod condenser microphone feeding into a Radio control room with a set of mixer decks for five channels of audio playback, live broadcasting tools and on-air indicators. 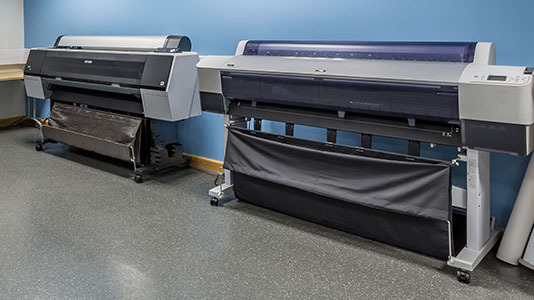 Elephant studios are situated in the Borough Road Building, 103 Borough Road, SE1 OAA. 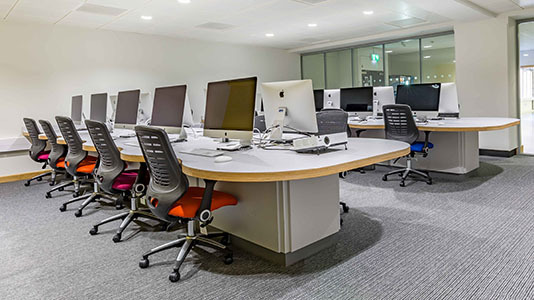 For external hire queries please contact lsbu@locationworks.com or 0203 195 0614.